Iran Politics Club Forum • View topic - Trump Iran Visa Ban: Pros & Cons, What Iranians Must Know? What American Liberal Media does not want you to know? Lobby for a Terrorist Sponsor State is illegal in USA. Then how come Trita Parsi is not in jail? He walks the streets freely in DC and lobbies for IRI! IRI is the largest Terrorist Sponsor State in the World! So as long as the flood of IRI money from Tehran to the IRI Lobby in America is cut (thanks to Trump) and the IRI Lobby’s tail is under surveillance and investigation (thanks to Homeland Security), also the IRI Lobby’s finances are under close look and investigation (thanks to Treasury Department and FBI), then the IRI Lobby feels suffocating and fund-less! Cat, very informing post and Ahreeman, very informing article, IRI Lobby got to go, this lot got to go and now is the time for paybacks. What goes around, comes around. Its Iranian Opposition turn baby, burn Hezbo bastards. I’m sure temporary uncomforts will be well taking care of and pass, Legit Iranians have nothing to worry about. As an American, I am proud to be a member of the Iran Politics Club. Dr. Ahreeman, founder, developer, administrator of IPC, and an American citizen of Persian descent is to be applauded for his support of our President Donald Trump. The IPC efforts by Dr. Ahreeman and his associates are appreciated in fighting for the rights of all people to live with the freedoms we enjoy in America. Keep up the admirable work and I wish all Iranians success in keeping their Persian culture alive. These are a people that are worth supporting and fighting for because they understand the value of freedom to make their choices for a better life. Extra Extra: Fake News Network! What American Media does not understand is that the American People are much smarter than the Media assumes they are! This is not IRI, but this is USA and the media cannot easily brainwash people in to believe in the Fake News! This is not about GOP or Democrats, this not about the Right and the Left, but this is about “The Will of the People” and Trump is “The Will of the People”! Sit back and suffer in silence for 8 years, like we did during Hussein Obama’s Socialist Islamic Regime! In ahmagha nemifahman ba ki tarafan chon maghze khar khordan, bayast bargardan Iran ba tokhme agha ye ghol do ghol bazi konan. Sange roo yakh kardi NIAC ro. I think Ahreeman should go easy on Muslims and don’t demonize them as one. Ahreeman should also keep on hitting the IRI Lobby because they are the enemy of opposition and Iranians. I like the part about public trials! Trita Parsi is a low life and an opportunist who fishes from muddy waters and takes advantage of the present chaos. Trita Parsi is immoral, a con and a dirt bag, he can’t disguise himself as a pillar of the Iranian community, everyone knows him by now. I disagree with Ahreeman, Cat and Trump. This law causes chaos, not done organized and not fair to Iranians. Needed to be well thought before implemented. Did the law cause inconvenience for some? Yes it did. It’s not open borders anymore. We decide who comes in and for sure we monitor who goes out and where! We shouldn’t be so selfish and self centered. We should be open to inconvenience at the airports, seaports and train stations for our own security. All it would take was some patient until everything would sort out and it did sort out. 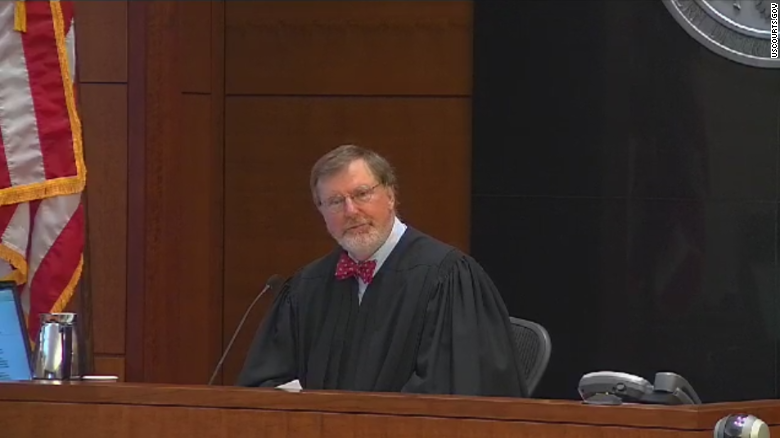 About over 100 cases out of 100, 000 cases were held for further review and the rest did let go, but the Activist Judge disrupted the process! 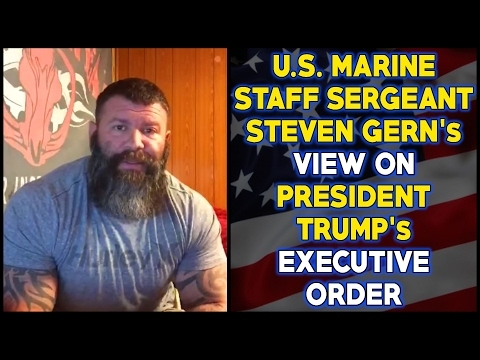 Marine Sergeant Steve Gern View on Trump Extreme Vetting! Why Extreme Vetting Muslim Refugees Entering in to USA? Marine Sergeant Steve Gern explains it all to you! Simple Question Asked by Marine Sergeant and answered Honestly by the Muslims! The Simple Question Explains it All! Marine Sergeant: What would the average public do if right now I go in to public places? Iraqi Muslim: They will kill you! Marine Sergeant: If Muslims will kill us if we appear in public places in Islamic countries, then what would they do to us if we allow them in to United States? Sean Hannity interviews a retired U.S. Marine who works as a private security contractor took to Facebook to warn of the dangers Americans still face in Iraq. Steven Gern's video, which was posted from Iraq and has been viewed more than 45 million times, came just a few days after President Trump's executive order triggered massive protests at U.S. airports. Trump’s orders involved restricting access to the United States for refugees and some visa holders from Iraq, Iran, Libya, Somalia, Sudan, Syria, and Yemen, said the aides and experts, who asked not to be identified. The restrictions on refugees are likely to include a multi-month ban on admissions from all countries until the State Department and the Department of Homeland Security can make the vetting process more rigorous. Many whiny liberals attacked our president but one brave marine gave them a perfect response! Steven Gern, a U.S. Marine Corps veteran working in Iraq, discusses the reality of how Americans are treated there. Watch the video to see what they said to the Sgt. We congratulate the President, the US Administration, the activists and the Iranian Opposition on the passage of the Supreme Court on 98 % of the Trump Travel Ban, particularly on Iran. And other IRI Thugs out of America and remaining outside of America. The riff raff will also be kept outside of America. Minor inconveniences will occur to some Iranians but eventually if innocent they will be cleared. Trump Travel Ban is a blessing. Trump presidency is a blessing. Trump has saved America and Americans. What Iranians Must Know about the Green Card Lottery? But these are the girls who come to America on “Lottery” basis!